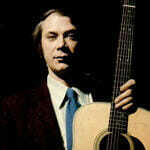 Learn how to play John Fahey – Sunflower River Blues note-for-note on guitar. This lesson teaches the track as Fahey played it in the slightly slower version with the chordal introduction. The complete file contains 3 lesson videos, a performance play thru video and full tabs. You’ll receive a link to download the lesson which will download as a zip file of 305 Mb containing all the lesson content. Great job on an otherwise difficult song. What guitar is that you play with the shark fretboard inlays? Hi JB. It’s a Rainsong Black Ice. Just downloaded the Sunflower River Blues…and I’ll probably be up all night. Another fabulous job, Jerry. Now, to make the coffee…..